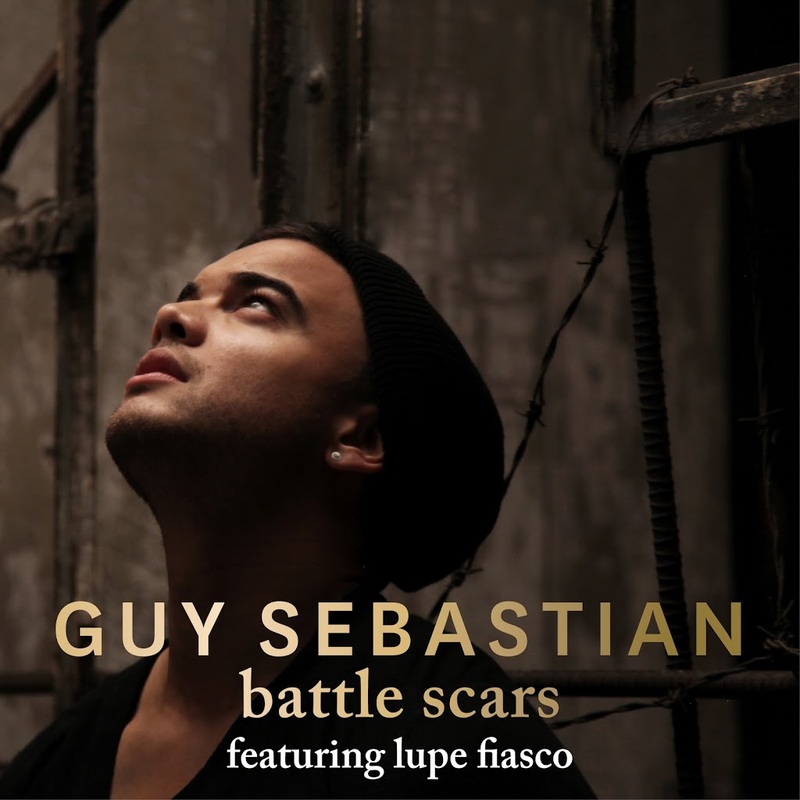 There’s still no word on that forthcoming album according to the presser (except to say that it’s out “later this year”), but Guy Sebastian fans will be excited all the same to see a new single serviced to media today. Hot on the heels of his gold selling single ‘Gold’, Guy is back with ‘Battle Scars’… and this time, he’s bringing Lupe Fiasco along for the ride in a guesting role. Guesting might be stretching it, however, as Lupe opens the track with almost a full minute of rap before Guy gets his chance in the vocal sunshine. In parts, it actually feels a little like you’re listening to a Lupe Fiasco ftg. Guy Sebastian single instead of the other way around. Guy’s been confirmed to perform on the ‘X Factor’ during the upcoming season and will undertake a raft of promotional opportunities throughout the next couple of weeks in support of the new tune. A clip, filmed in New York, is forthcoming. The new Physical CD Single of this new track, has been pushed back a week and will now be released NEXT FRIDAY – 17th August, 2012. THIS TRACK will also be released on a limited edition Physical CD Single Format. Also to be released THIS FRIDAY – 10th August, 2012. This song is fantastic – I keep playing it over and over in my head! Love the cover art – Guy is so gorgeous!